TotalAV Antivirus is a relatively new contender on the playing field of security suites, offering a variety of common features for a decent introductory price. However, the lack of available independent lab testing data and the requirement to create an account to download even the free trial may hold this antivirus back. TotalAV Antivirus keeps a low profile on your system, using nearly no space and having no noticeable impact on computer runtime. It also has a visually appealing and easy-to-navigate interface, though some aspects don’t necessarily make sense right away. It contains a variety of standard security options and also includes some PC tune-up processes with their System Boost and PC Performance tools. TotalAV Antivirus has a rather lengthy and unnecessary installation process, taking nearly 10 minutes to fully install on your system, and the website forces you to make an account even if you only want to test the free trial. The pricing can be a little confusing, and some users have reported feeling “tricked” into paying more than they expected due to the lack of clear explanation of subscription terms on the TotalAV Antivirus website. The website popups are frequent and can be annoying. TotalAV Antivirus is a new program, and therefore hasn’t been reviewed by independent testing labs. Our own hands-on tests showed good malware detection results, though the overall consensus is that TotalAV Antivirus needs to re-define tracker cookies so that they’re not flagged in the same category as malware. At its introductory pricing, TotalAV Antivirus currently costs $59.95 to provide a year of protection for up to 5 devices, which is relatively affordable in the current field of security suites. However, after the year is over that price jumps up to $149.95, putting it at the more expensive end of protection. In comparison, McAfee AntiVirus Plus - a solid antivirus option with decent protection scores - costs only $59.99 for a year of protection for unlimited devices, and Kaspersky will let you protect 10 devices a year for a comparable price. TotalAV Antivirus does come with a free trial version and a 30-day money-back guarantee if you’re not satisfied with the program. TotalAV Antivirus comes with a host of features that you’d expect out of a standard security suite, including ransomware and anti-phishing protection, real-time antivirus protection, advanced firewall protection, and more. It also has PC optimization tools and a web browser cleaner designed to help you improve your computer’s overall performance. The addition of a VPN does make TotalAV Antivirus more valuable than some of its competitors, but isn’t a replacement for a serious VPN solution as it doesn’t come with standard features like DNS leak protection or a logging policy. Overall, TotalAV Antivirus offers a fairly standard suite of security features without bringing anything particularly new or innovative to the table. While TotalAV Antivirus has a streamlined and visually appealing user interface, customers may get turned off by the requirement that they create an account, even to download the free trial of the product. This is a clear attempt by the company to collect user information, but may deter clients from downloading the product at all. 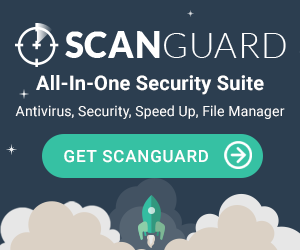 In addition, TotalAV Antivirus’s installation process takes a rather long time for a standard security suite, and the available “quick scan” feature takes as long as some other security suites do for a full scan. However, the full scan is quite efficient, and takes less time than other security suites do. While the notification popups for potential issues can be frustrating, TotalAV Antivirus does offer the option to disable them, and makes it easy to fix any problems found across all categories at once. The user experience is good, but not great - with some streamlining, TotalAV Antivirus could be a strong competitor in the security suite lineup. TotalAV Antivirus offers 24/7 live chat support through their website, as well as email and phone support. While they do have an online knowledge base, it’s minimally useful; you’ll likely get more luck turning to the direct contact methods available for answers to your questions or help with your problems. However, the online knowledge base does also include some video tutorials, which could be helpful for some clients. We couldn’t find any information about TotalAV’s company history on their website; there’s no “About us” link, and no founding date. Therefore, unfortunately, we can’t provide you any information about TotalAV as an overall business. We’ve reached out to TotalAV for company background and will update you on our findings. TotalAV Antivirus is a fairly standard security suite that performs decently in hands-on tests and has a sleek, user-friendly interface that’s easy to navigate. However, until it streamlines its signup process, makes its pricing a bit clearer, and irons out some of the usability kinks, we would recommend using one of our other, more established security suites, like Norton, Bitdefender, Kaspersky, or McAfee. Download a Free Trial Today and see if you like it! *Antivirus.Best is not affiliated with any other third party testing company(ies) and can not be held responsible for their testing practices and software scores. "I have never heard of TotalAV before somebody at worked has mentioned it to me over lunch. I decided to try it out after my Mcafee antivirus subscription expired last month. Software performs as advertised and completes scanning on daily basis. Protecting my computer from viruses and trojans. As long as price stays this low I'll continue using it for my antivirus protection. "